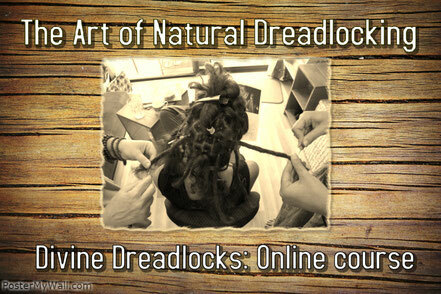 At Divine Dreadlocks we have 5 different courses to help you with your dread needs! Each course has been carefully written, utilizing 5 years of qualified teaching knowledge and over 16 years of professional dreadlocking experience on ALL hair types. The online versions of these courses have also been created by professional camera men and editors to ensure that you get quality high definition videos with clear sound, that literally make it feel like your tutor is in your lounge room; so you get as close to a real live learning experience as possible. 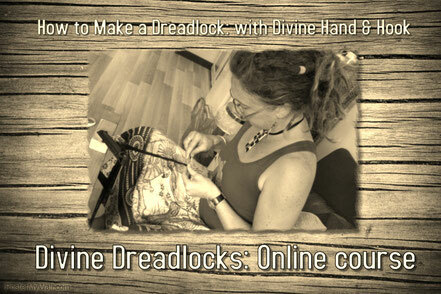 All 5 courses are available to study online so you can learn the incredible product free "Divine Hand & Hook (DH&H) method of dreadlocking no matter where you live in the world! And you have unlimited access to the online courses via an internet connection. The 2 lower level courses can also be downloaded to your laptop, phone or tablet & the course platform Gumroad has an app that you can get so that you can view your courses easily in the app! Click on the images below to get more information on a course that will suit you! 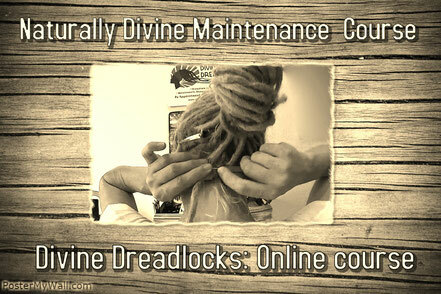 And SUBSCRIBE ABOVE for current course discounts & other divine dreadlocks news. Also if you're keen to check out examples of our work or what gives us a buzz, please like & follow us on FACEBOOK & INSTAGRAM! 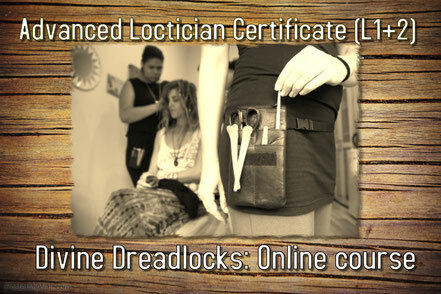 professional dreadlock training - choose your course! 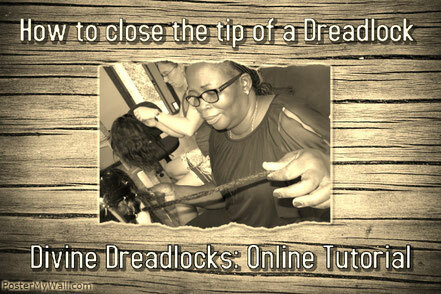 HOW TO CLOSE A DREAD TIP, NATURALly $au10! 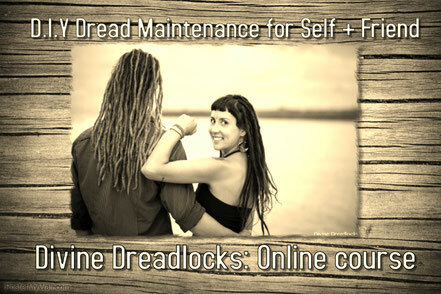 learn to make & maintain dreads for loved ones or biz! 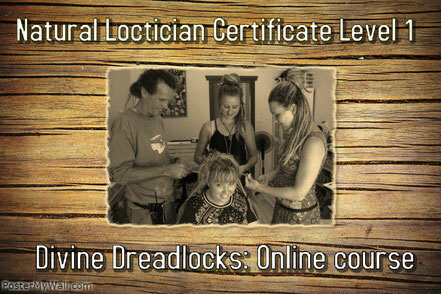 If you would like to study the Natural Loctician Certificate Courses Level 1 and Level 2, then the best course to enrol in is the ADVANCED NATURAL LOCTICIAN course bundle. 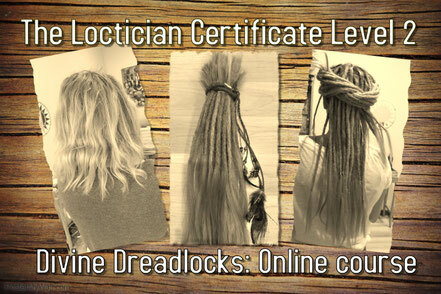 You will need to study Level 1 first to gain the vital skills in dreadlock creation before moving onto Level 2 which teaches you the advanced skills of dreadlock extensions & wraps, but you can study them back to back OR gain some experience dreadlocking first and then watch Level 2 when you're ready as you get UNLIMITED ACCESS FOR LIFE TO THE COURSES! HOWEVER BUYING THE BUNDLE GIVES YOU $200 off!! !